Welcome to Year 4, your child has now been in the school for four years and they are heading towards that all important ‘top juniors’. They will have high expectations placed on them, both in their lessons, as they tackle new and exciting topics and in terms of being good role models to younger pupils. They will be encouraged, through their various subjects, to ask questions, use research techniques to try to answer questions independently and to challenge themselves on how work can be presented and displayed to the highest standard. We have an exciting year ahead for your child in Year 4 and we are sure that they will enjoy the topics that we are covering. Have a look at Our Learning Plans to find out more about what we are learning in school. Class newsletters will be sent out termly, advising of forthcoming events and updating you on your child’s progress. Mrs Roxborough will be teaching on Wednesday and Thursday afternoons. Please check our page regularly through the year to see what we have been doing in Year 4. In Year 4 each child will have a learning log which lasts one term. These will have tasks that cover the learning in the classroom, as well as giving children the opportunity to express and celebrate their talents. Please feel free to help your child with these tasks. Along with this, reading with your child every night will help improve their reading. Children will also be given spellings every week. They will be given out on a Friday and they will be tested the following Friday. In Spring term Year 4 go swimming every Wednesday afternoon. Your child will need a swimming costume, towel and hat. Select our Class News and Our Learning Plans to find out more about life in Year 4. 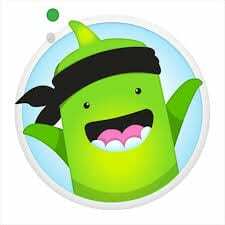 ClassDojo is a communication app for the classroom, each child has their own character that collects their points for them. At St. Wilfrid’s we use ClassDojo to reward children for good behaviour, following school rules, fantastic work or being a good role model to others. At the end of each week/half term the child with the most Dojo’s wins a prize. We also use ClassDojo to keep parents informed about what we have been doing, sending class messages to all parents about the work we have been doing in class and then also sending private messages to parents celebrating their own child’s achievements.